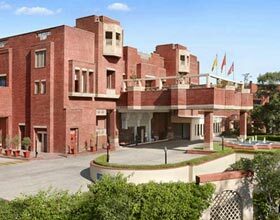 Address: Sawai Ram Singh Road, Opp. 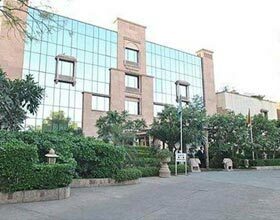 Reserve Bank of India, Jaipur, Rajasthan 302005 India. 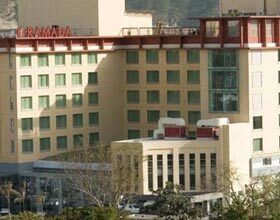 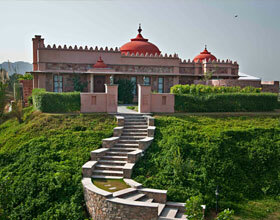 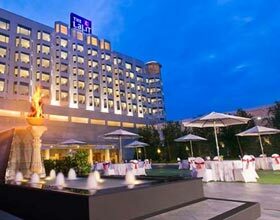 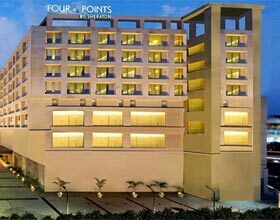 Taj SMS Jaipur is aptly nested along the busiest business hub of Jaipur and SMS convention center. 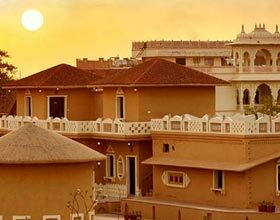 Immaculate services and humble staff of this royal hotel offer warm hospitality experience depicting traditional Rajasthani culture. 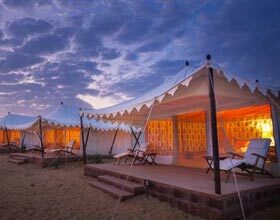 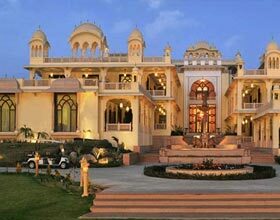 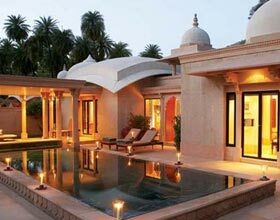 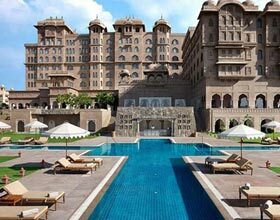 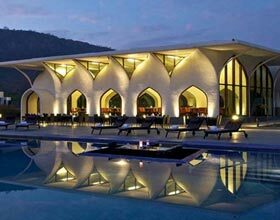 This regal property of the Taj group is a boutique hotel for travelers desiring to amalgamate business and pleasure. 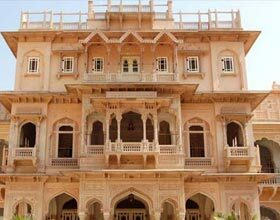 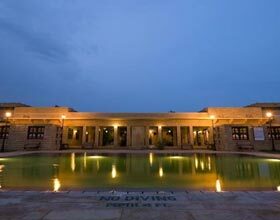 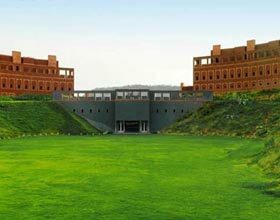 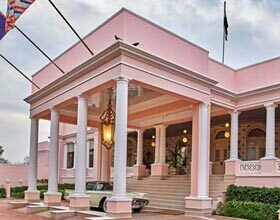 Located adjacent to Rambagh Fort, interiors and architecture of this lavish hotel in pink city is inspired by awe-inspiring splendid heritage. 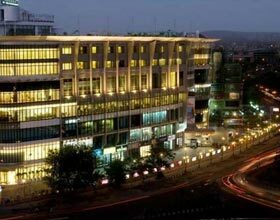 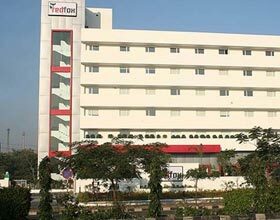 Taj SMS hotel in Jaipurprovides convenient access to all major leisure and business destinations in capital city. 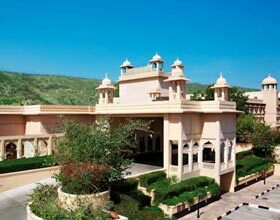 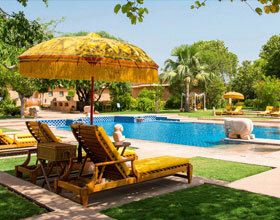 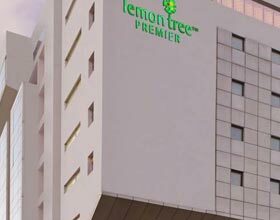 Several recreational facilities enthrall the charm of this opulent hotel. 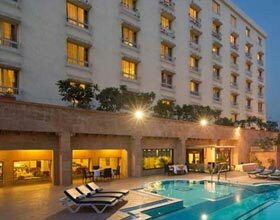 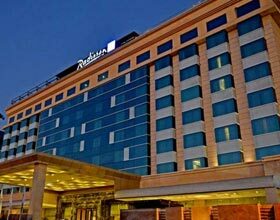 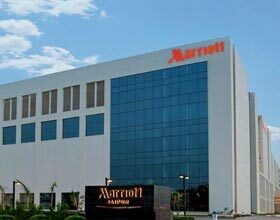 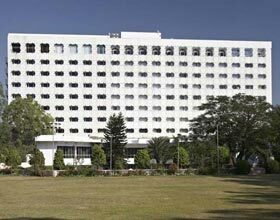 Hotel Taj SMS Jaipur has airy guest rooms and suites with intricate marble flooring overlook a garden or SMS convention center. 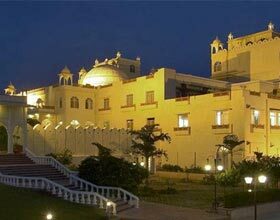 All 21 well furnished guest rooms of this heritage hotel in Jaipur is a delight for guests abode, are finely categorized into standard rooms and junior suites. 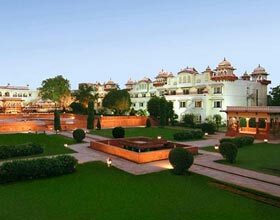 Exquisite maharaja-styled furnishings and beddings finely infused with modern amenities including mini-bar, high speed internet access and satellite TV are relished by lodgers. 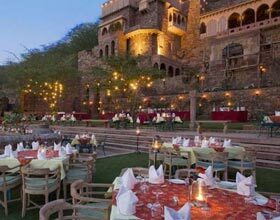 Dining Room serves savory regional and International cuisines in its fare. 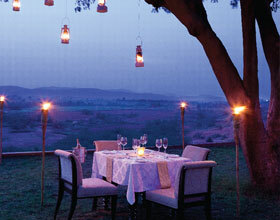 Delectable Indian and continental delicacies are among the signature recipes in the spreads during 3 meals of the day. 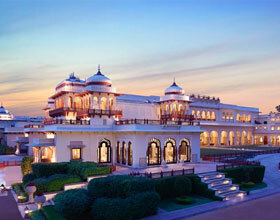 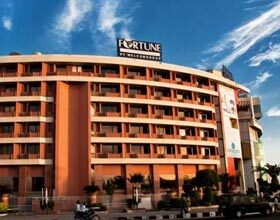 Guests lodging in Taj SMS Jaipur can walk-in to this fine restaurant to enjoy finger-licking dishes from al carte.